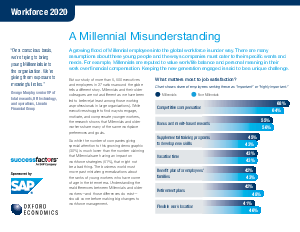 A growing flood of Millennial employees into the global workforce is under way. There are many assumptions about these young people and the ways companies must cater to their specific wants and needs. For example, Millennials are reputed to value work/life balance and personal meaning in their work over financial compensation. Read this white paper and learn why keeping the new generation engaged is said to be a unique challenge.